Vision2Lead | How can you use mixed & multi methods online? How can you use mixed & multi methods online? 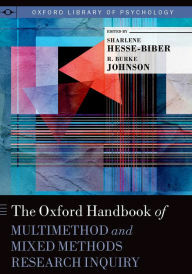 If you have access to the Oxford Handbooks through your library, you can now read my chapter “Conducting Multimethod and Mixed Methods Research Online” in The Oxford Handbook of Multimethod and Mixed Methods Research Inquiry. This chapter discusses uses of technology in collection of data for multimethods research designs (i.e., research using more than one approach within a qualitative or quantitative paradigm) or mixed methods studies (i.e., research designs that use both qualitative and quantitative approaches). 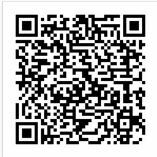 As selected exemplars show, researchers use a wide range of information and communications technologies such as web and videoconferencing conferencing, e-mail, social media, and mapping tools in studies that may occur in a local community or across the globe. Through an analysis of a set of exemplars and a meta-synthesis of the collection, This chapter examines ways that the unique characteristics of communications technologies influence the experiences of researchers and participants and the phenomena being investigated.